This Revolutionary Cloth Nasal Mask overcomes the 5 worst problems that sleep apnea patients experience with conventional nasal, full face and pillow-type CPAP interfaces so you can comfortably continue therapy and get the deep and restorative sleep you need. Are you experiencing one or more of these problems? Is it preventing you from getting the full benefit of CPAP therapy? 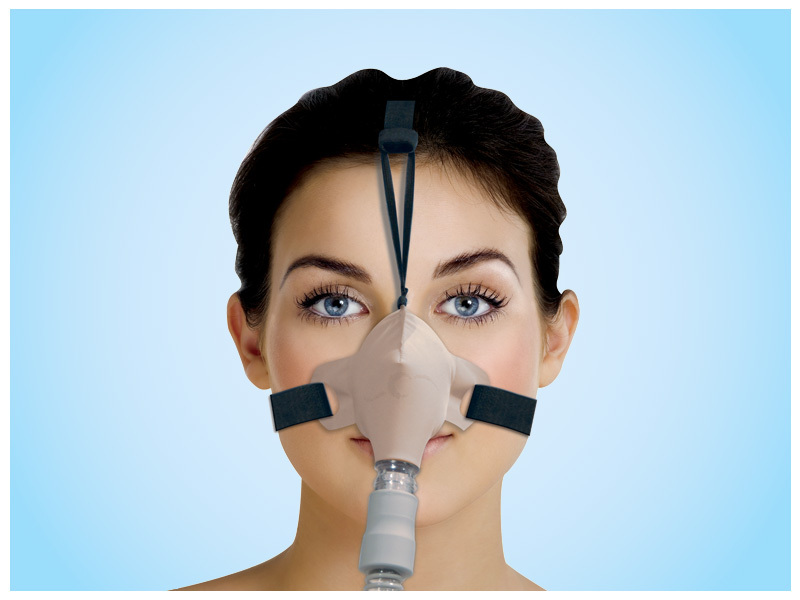 By eliminating these 5 major mask problems the SleepWeaver allows you to continue your CPAP therapy and enjoy deep, restorative sleep. SleepWeaver allows patients to sleep on their back, side, or stomach without rigid buckles, clips or faceplates digging into their skin. 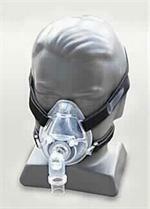 Because the mask is light and soft, it stays positioned all night even as the patient changes sleep positions. Users report waking up in the middle of the night and wondering if it is still on their face, only to find it gently and quietly in place. 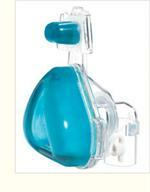 CPAP mask noise comes from three sources: the exhalation valve, leaks and turbulence inside the mask. 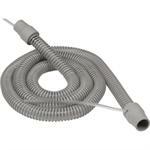 The SleepWeaver has a series of small exhalation holes that eliminate air "whooshing" or "whistling" sounds. The mask fits with very few leaks, reducing sudden noises. And the mask is designed so that the air turbulence inside the mask is minimized, reducing the last source of mask noise. 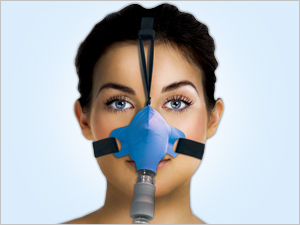 By eliminating these mask annoyances the SleepWeaver allows sleep apnea patients to comfortably continue their CPAP therapy and get the deep and restorative sleep they need.